Waterloo – During the week of National Indigenous Peoples Day, Wilfrid Laurier University will host the two-day conference, “After Canada 150: Restoring Indigenous Knowledge and Building Community Connections,” June 23 to 24 at the university’s Faculty of Social Work in Kitchener. The conference will connect Indigenous knowledge keepers with Indigenous educators, students and the local Indigenous community. 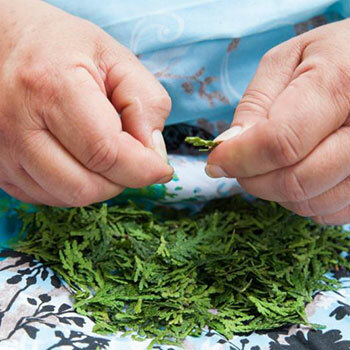 Led by Laurier faculty member Kathy Absolon-King, the conference will include traditional teachings and Indigenous workshops from Haudenosaunee and Anishinaabe Elders, youth, and knowledge keepers to discuss an array of topics with the community. Peter Isaacs, traditional knowledge keeper and member of the Six Nations Confederacy, will lead the session, “A Good Mind Philosophy to Restoring Indigenous Knowing,” which is focused on teachings related to the Onkwehonwe / Haudenonsaunee Creation Story. Banakonda Kennedy-Kish Bell, elder-in-residence at Laurier’s Faculty of Social Work, will lead the session, “Spirit Comes First: What does that Mean?” which will focus on the Anishinaabe Creation Story and draw on foundational knowledge and principles of kindness and honesty. The two-day conference will be held Saturday, June 23 to Sunday, June 24 from 8:30 a.m. to 4 p.m. at Laurier’s Faculty of Social Work, 120 Duke St. West, Kitchener. Register for the conference. Volunteers are needed to assist with registration, child care, workshops and other duties. Please contact indigegogy@wlu.ca for more information. Conference attendees are also invited to attend celebrations on National Indigenous Peoples Day, June 21 at the Victoria Park Pavilion from 4:30 p.m. to 9 p.m. The event is open to the local Indigenous community and will feature a feast, drumming and dancing, and craft vendors. The event is supported by Laurier, the Social Sciences and Humanities Research Council of Canada, the Laurier Centre for Indigegogy, Conestoga College and the Healing of the Seven Generations. Absolon-King, associate professor in Laurier’s Faculty of Social Work (Indigenous Field of Study), is also the director of the Laurier’s Centre for Indigegogy, which offers certificates and workshops to Indigenous educators to train in Indigenous ways of teaching, such as circle work, smudging ceremonies and integrating the land into education practices. The centre, which recently celebrated its one-year anniversary, is also run by administrator Giselle Dias and Laurier Social Work masters students Laura Barry and Lindsay Sayal. Find out more about Laurier’s Indigenous initiatives and services for students. Laurier acknowledges it is located on the traditional territory of the Neutral, Anishinaabe and Haudenosaunee peoples.